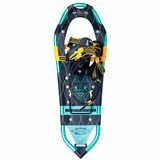 The Atlas Women's Elektra Stratus Snowshoe and get exploring. 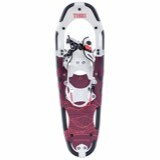 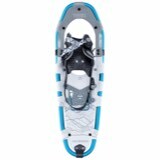 Featuring an aggressive All-Trac toe crampon and Traverse Trac Rails, this snowshoe provides traction in all directions for confident hiking, even on firm sidehill terrain. 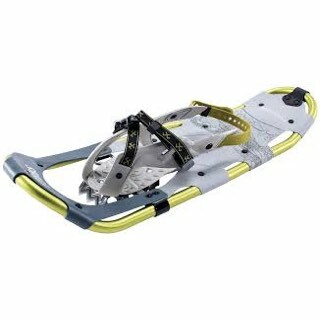 The Spring-Loaded Suspension system offers enhanced traction as well as natural foot flex for lasting comfort. 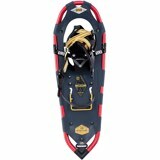 Atlas' V-frame tracks straight in deep snow, while the Heel Lift Bar reduces calf fatigue. 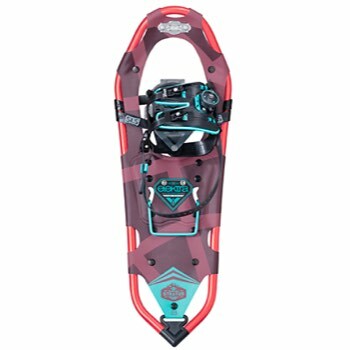 The Wrapp Helix binding blends the Wrapp design with the Boa Closure System for a secure, comfortable fit that boosts confidence in technical terrain.